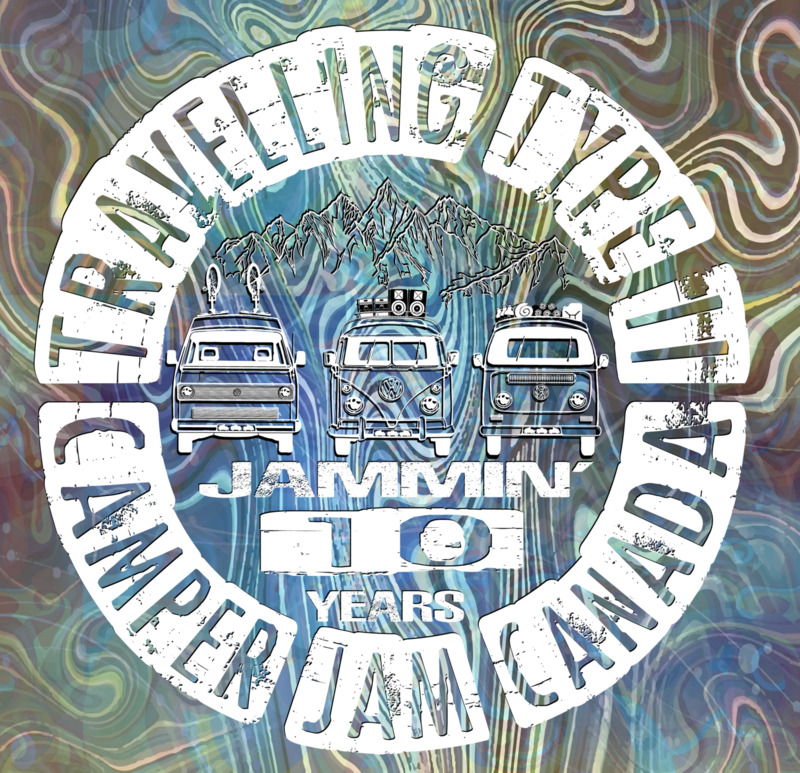 THE TRAVELLING TYPE II'S IS CALLING ALL VW BUSES TO CAMPER JAM CANADA 2018! It is our 10TH YEAR CELEBRATION! The Jam has attracted VW buses from all around the world!! We have lined up one amazing Jam this year and we look forward to seeing you there! We have Octoduck, 2nd-Hand Trans-Am & Holly Clark who will taking the Jam stage to Rock our Jam and help raise support for Little Mittens Animal Rescue Association. The 2018 Ja continues Saturday morning. The day starting at 1pm with free smokie on a bun lunch with pints for purchase from Whitetooth Brewing Co Booth. If campers are still hungry or don't want to cook supper. Columbia River Catering food truck will be there to help you on Saturday ;) We will be accepting fiscal donations at the smokie on a bun lunch and throughout the Jam. ALL fiscal donations will be going to Little Mittens Animal Association. As the Jam experience explodes and memories unfold the evening ascends with Octoduck and 2nd-Hand Trans-Am rocking the Jam stage! As Jam the rolls on, Sunday downshifts into a beautiful day relaxing day with 2pm Jam SWAG & GOODIE GIVE-AWAY!! The evening begins with a children's movie for all ages at 6pm under the big tent. At 7:30-ish we have an amazing fireside experience with Holly Clark & friends happening. Psssssst!!! Just let you know Jammers can start their Camper Jam Canada 2018 experience early by taking advantage of the "Early Bird Bird Bus Pass" to get a prime spot and put up your feet early! First 10 buses that buy their Jam pass online gettin' some swag at the Jam!! First 10 buses to sign up to donate 1x64 oz growler of cold craft beer a receive 1 T-shirt. Save $10 buying your Jam pass online by June 1st, $145 after June 1st, $150 at the gate. Save additional $5 per clothing item ordering online. online clothing sales stop June 22th. All Clothing is picked up at the Jam.